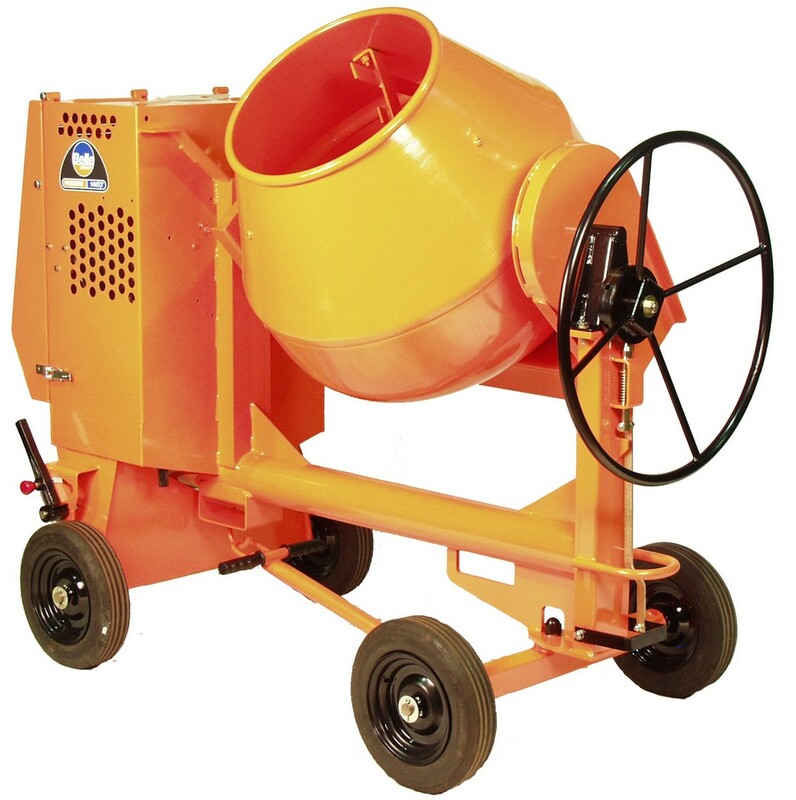 Robust site mixer for larger batches of concrete and mortar. Extra heavy duty and robust chassis designed to withstand the worst site conditions. An extra rigid and reinforced drum to prevent distortion. A foot operated tip lock and large tip wheel for added safety and control with large mixes.